No cash alternative is available and all prizes are non-transferable and non-refundable. Tickets are not for resale and can not be used for commercial use or use in further promotions. No cash alternative or alternative prize is available on request, but in the event of the advertised prize being unavailable we reserve the right to offer an alternative prize of equal or greater value. Employees of Ascot Racecourse and any company associated with specific promotion, and their families, are not eligible to enter. Proof of sending email is not proof of our receipt of your entry. No responsibility can be accepted for entries that are lost or delayed. The closing date is as per competitions page on the website. Winners will be formally notified within 7 days of closing date. Only the winners will be contacted personally. Winners agree to keep confidential any knowledge about Ascot Racecourse, its business and its personnel received by them as a result of the free prize draw. No responsibility is accepted for inaccurate prize details supplied. Use of false name or address, i.e. name, by which the entrant is not usually known, will disqualify them from receiving any prize. All entrants will be notified by e-mail. 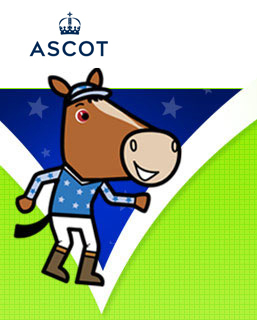 Ascot Racecourse can only reply to the e-mail address supplied and can not be responsible for any change of e-mail address. The prize winners will be selected at random by the judges or by Ascot Racecourse. Their decision is final in every situation, including any not covered above and no correspondence will be entered into. Ascot Racecourse will not pass your personal details to any other organisation without your permission, except for the purpose of awarding your prize if necessary.